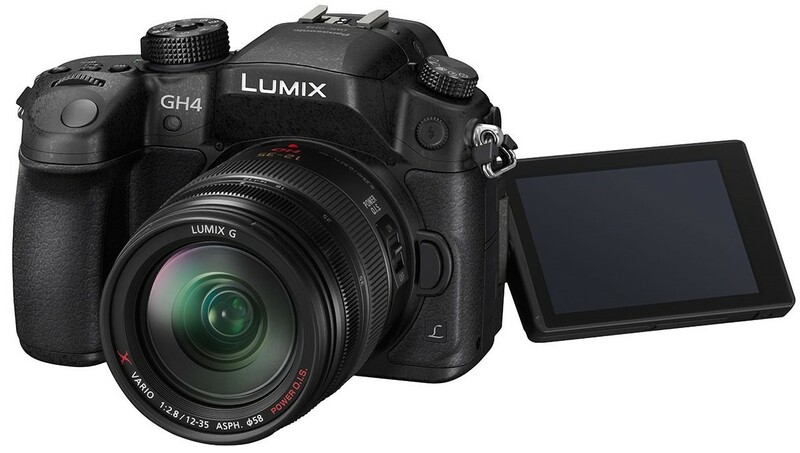 Panasonic has announced the GH4, which is sort of the GH3’s successor (though the GH3 will still be available, at a lower price). The headline feature of the GH4 is, of course, the ability to shoot video at 4K resolution, and in a high bit rate of 100Mbps as well. There are a number of permutations available, including 1080p at 200Mbps, and the ability to set PAL and NTSC frame rates finally, and the usual 24 FPS cinema-style frame rate. There are also a number of improvements to go along with the 4K video capability. The GH4 now also has focusing peaking, zebra exposure patterns, a cine gamma profile, colour bars, test tones, and 10 bit 4:2:2 chroma subsampling output via HDMI (internal recording to SD card is still 8 bit 4:2:0). There’s also a 96 FPS option, so you can do 1:4 slow motion videos. A small downside is that to enable 4K video, Panasonic have opted to do a 1:1 crop of the sensor to get the 8 megapixels, meaning the final 35mm stills crop factor is 2.3x. Some compromise there, but I think the image quality will be well worth it. The improvements are not all on the the video side however, as there are upgrades that will benefit still photographers too. There is a new shutter mechanism that finally allows a fastest shutter speed of 1/8000s (thank goodness) and 1/250s flash sync speed (thank goodness as well). My experience with the GH3 is that things like 1/4000s shutter speed limits are limits you did not know you would miss until they are gone. While the GH4 still uses 16 megapixel Four Thirds sensor, there is also mention of increased ISO capability and increased dynamic range. Continuous shooting is now upgraded to 12 FPS in single shot autofocus, and 7 FPS in continuous autofocus. Hopefully the EVF blackout will be improved this time. Speaking of which, the EVF is now a XGA OLED affair, and I am hoping the optics for the EVF have been given an upgrade as well; the GH3 really suffered from piss poor optics with the EVF. In-camera RAW development is now available, which as a RAW-only shooter, means that the Wifi feature is freaking finally usable. There is also a very unique feature which Panasonic calls “Depth from Defocus.” It basically takes two images with at different depth of field and compares them against a database of lens profiles to see which way the camera should tell the lens to go. It does sound like a poor man’s version of phase detect autofocus, and since it requires comparison against the depth of field characteristics of lenses, this feature only works with Panasonic lenses, though Panasonic has mentioned that support for other lenses could be possible. 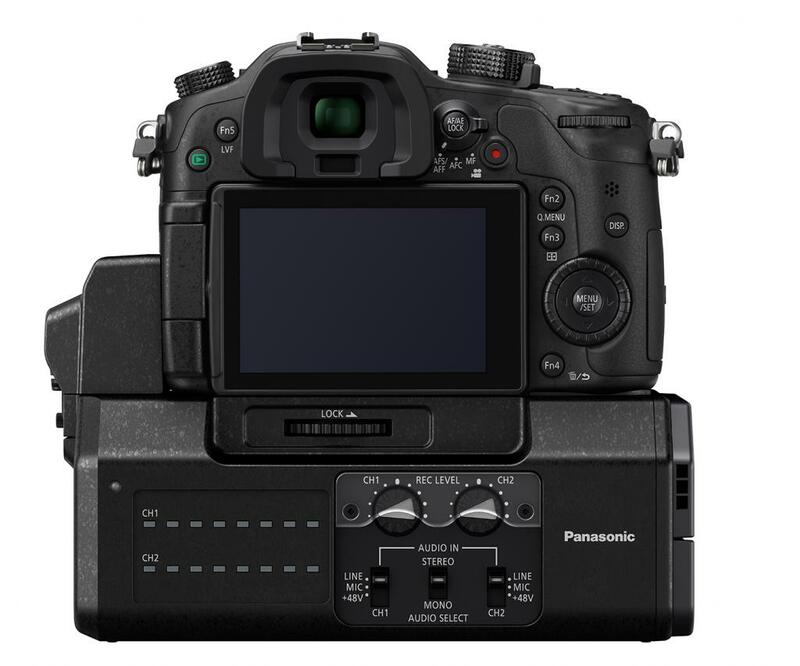 Along with the GH4, Panasonic also introduced the DMW-YAGH, which is the base accessory that allows for connection of video-related professional outputs and inputs. It looks like a brick, as it is expected that videographers and filmmakers will use a rig of some kind instead – the base accessory requires 12V power, so no simply run-and-gun here, folks. 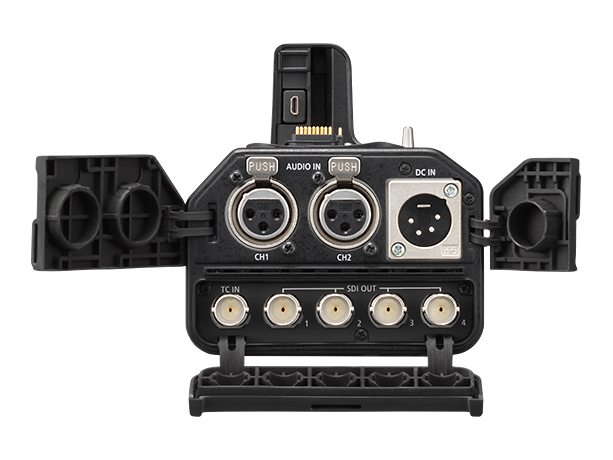 XLR inputs and HD-SDI outputs are supported, the latter offering uncompressed 10bit 4K output! It all looks like a great upgrade, and even while I am still primarily a stills shooter, I kinda want this. My bank account is doomed. Unfortunately for the rest of us, Panasonic are sticking to their annoying tradition of not offering either price or availability information until a later date. Seriously, I am sure this is not a marketing best practice. Drop it already! This entry was posted in Photography and Gear News and tagged 4k, dmw-yagh, gh4, m4/3, micro 4/3, micro 4/3s, micro four thirds, panasonic, yagh by Yuan Sheng. Bookmark the permalink.